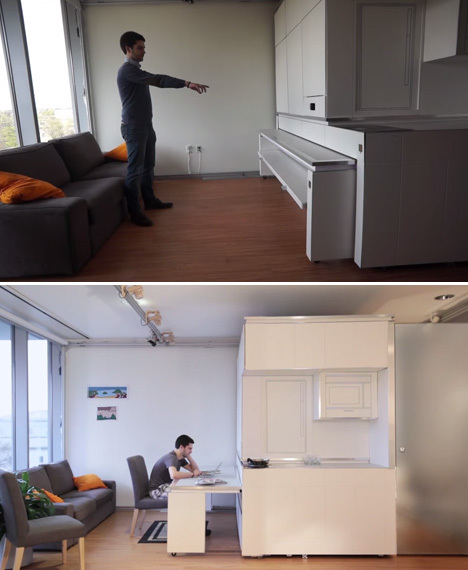 Two hundred square feet may sound absurdly small, even by New York standards, but what if you could make it feel three times larger with hidden furniture and other amenities that roll out and unfold at a wave of your hand? 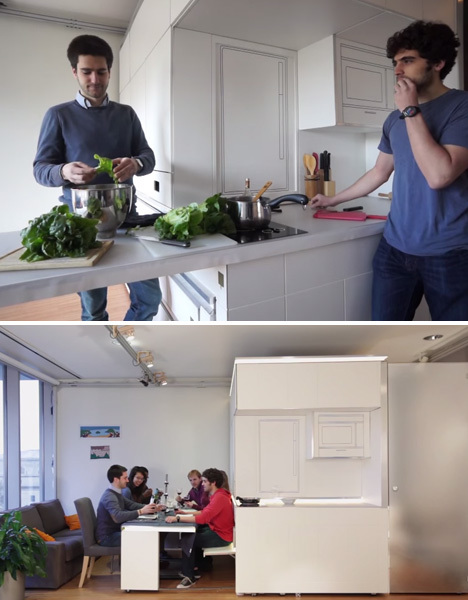 A team at MIT’s architectural program has come up with a smart solution for micro apartments that makes it quick and easy to reconfigure the entire space with virtually zero effort. 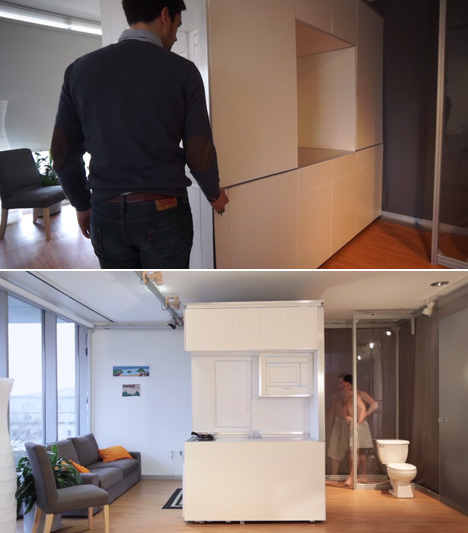 CityHome consists of a transformable wall system that condenses all the main functions of a bedroom, living room, dining room, kitchen and bathroom into a tiny space without sacrificing most of what you’d have in a larger apartment. You can still cook for and seat a group of six for dinner, sleep in a comfortable full-sized bed and enjoy a movie in a spacious living room. 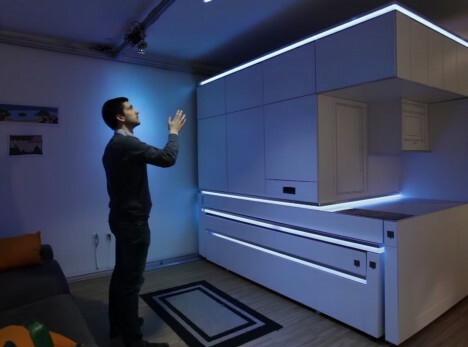 You tell the room what you need through a combination of hand gestures, voice control and touch elements, with internal motors silently launching the furniture you require at your command. 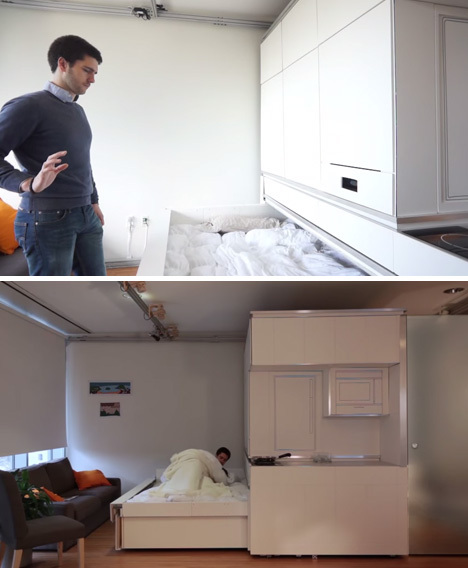 One gesture draws the bed out of the wall, while another calls forth a work desk that doubles as a dining table. Wave your hand to adjust the ambiance of the room via lighting and window blinds, and move the entire unit against a wall or into the middle of the room at the touch of a button depending on whether you want to divide up the space or gain use of the entire room. 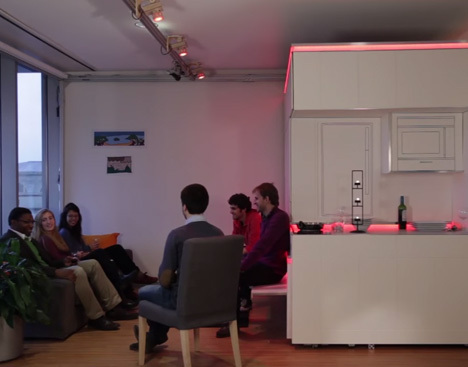 For now, CityHome is just a conceptual proptotype, but MIT envisions turning it into an actual product, possibly through crowdfunding or a layering of individual examples leading up to mass production.